We love a nicely decorated front door. The fall and Halloween season give us so many decorating options, it can be hard to choose which we like best! 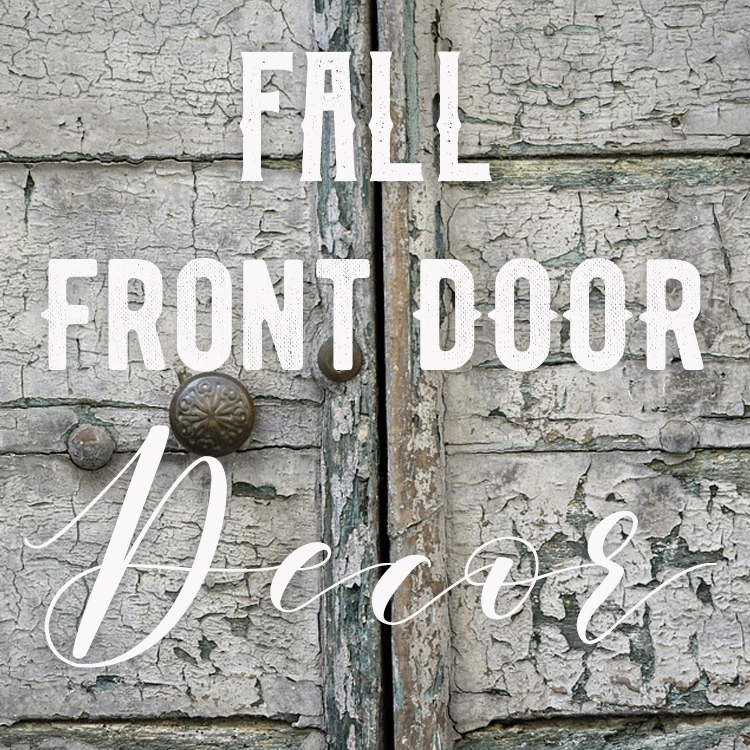 Today, we’re sharing some of our favorite front door inspirations along with a shopping list of things you’ll need to re-create the look in your own home. What look are you going for this season? This simple setup is perfect to stay all season long! We love the strong seasonal tones of oranges and reds and natural elements. 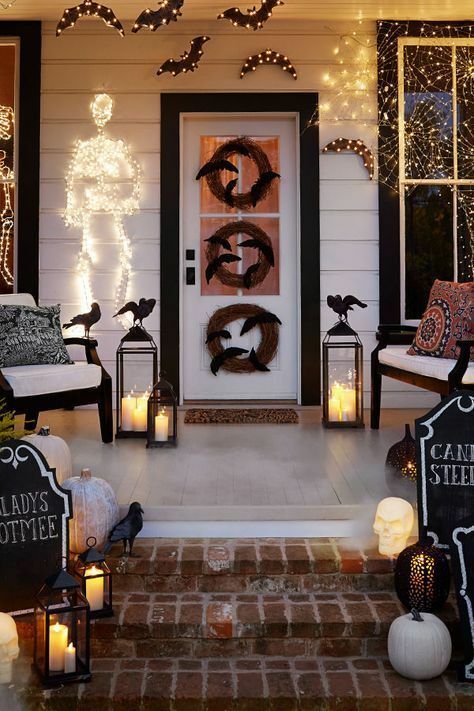 The white pumpkins add a great contrast and balance to the palette. Too much orange for your taste? Switch in different colored mums for a customized look! This spooky looks is perfect for Halloween! A neutral color palette makes it a great fit for any home. While still conveying the spirit of the holiday, it remains family friendly and not too scary for young trick-or-treaters. Be prepared to wow all your guests! 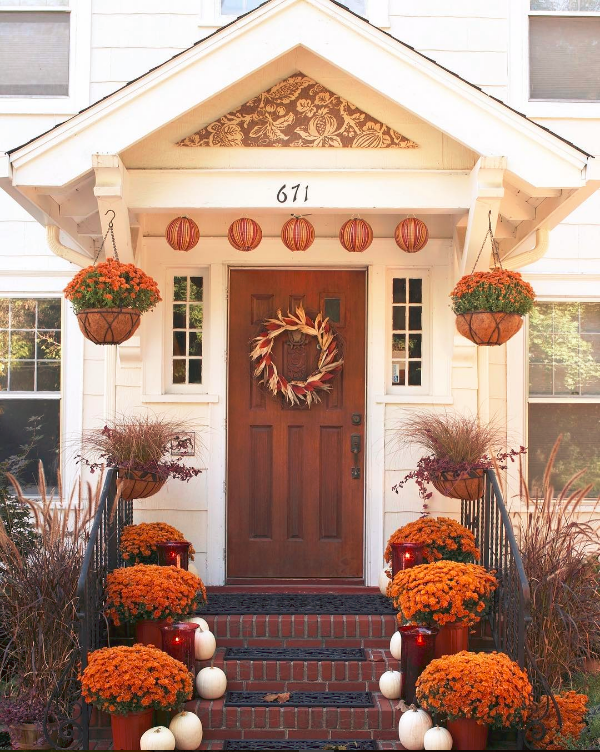 Do you have a smaller doorstep and not as much room to decorate as elaborately as others? No problem. You can still have a beautiful front step! While this home is blessed with some gorgeous natural color and leaves, you can easily recreate a very similar look at home. The best part? You’ll only need a few items, all of which can most likely be found at your local farmstand! We would love to add some Indian corn hanging on this front door to really finish off the look.